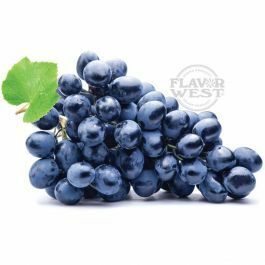 Natural grape flavor is a high strength natural flavoring which comes with the characteristics of natural grape. Tantalizing natural grape flavor is good for bakery products, candies, ice cream, jellies, creamy liqueurs, sweets and much more. Type: Natural Grape Water Soluble Flavoring. Ingredients: Natural Flavoring, Propylene Glycol. USP Kosher Grade Flavoring. Usage Rate: 15-20% for E-use. Flavor suitability: candies, jams & jellies, martinis, pies, juices, and beverages. Specific Gravity: 1.11 No Refunds on Flavoring.